This is combination of vibration provides oval stroke, by which process material moves forward, this equipment is having sets of springs. Nishi Techno-Sys develop machine in which we can set angle as per product ion requirement. This screening machine is also having speed controller on requirement basis. We are having models from 1200 mm length to 2500 mm length. 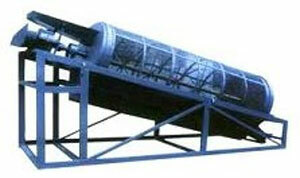 As per requirement of customer we are designing vibrating screens with 2 OR 3 Decks. Output of the first screen can be fed as the input to the second screen. The second screen will further grade & separate the material as required. We are offing this machine with Wire Mesh and Perforated screen. From 25 mm to 2 mm.